I returned a week ago from the quilting industry’s trade show, Quilt Market, held in Houston, Texas. 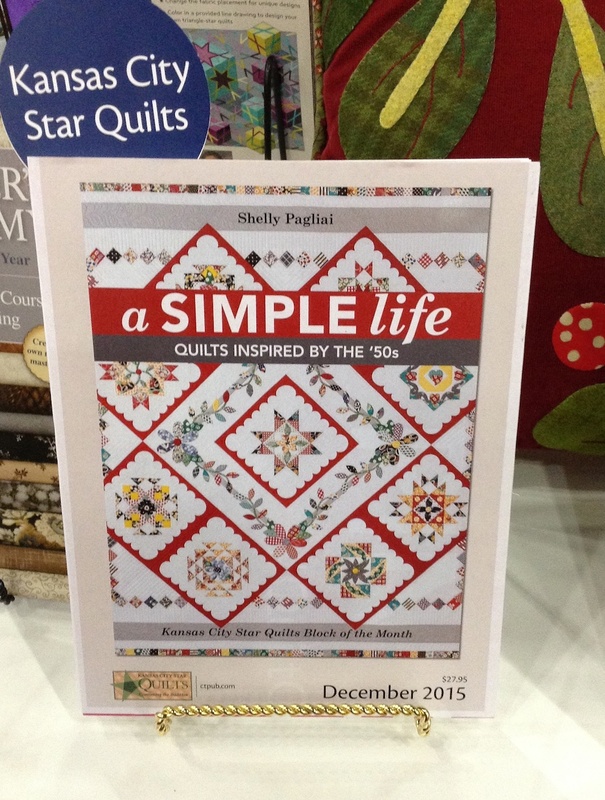 It was exciting to see my book cover displayed in C&T Publishing’s booth! I guess this makes it a little more real. 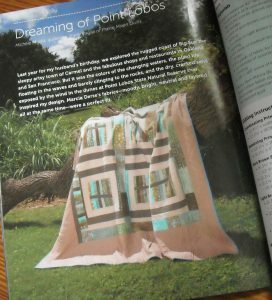 It takes a long time to see a finished book or magazine spread once you’ve done all the behind-the-scenes work! So long, in fact, that just about the time you’ve forgotten you even did it, there it is — in print! 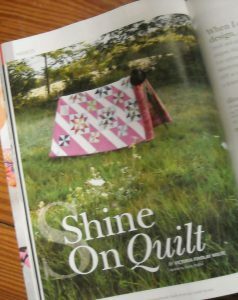 And here’s Michele’s quilt. I quilted this quilt for her when we were living in Nebraska. I love the photography they did for it. If you’d like to see more pictures of it, check out this post. Pick up a copy of the magazine, and you’ll be able to make one for yourself in your own favorite colors! You can find the magazine HERE. 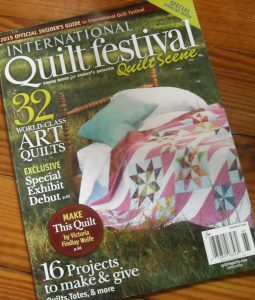 Every year, International Quilt Festival, which is immediately following the trade show, puts out a special issue magazine called Quilt Scene. This year, my friend, Victoria, had the honor of having her quilt on the cover! 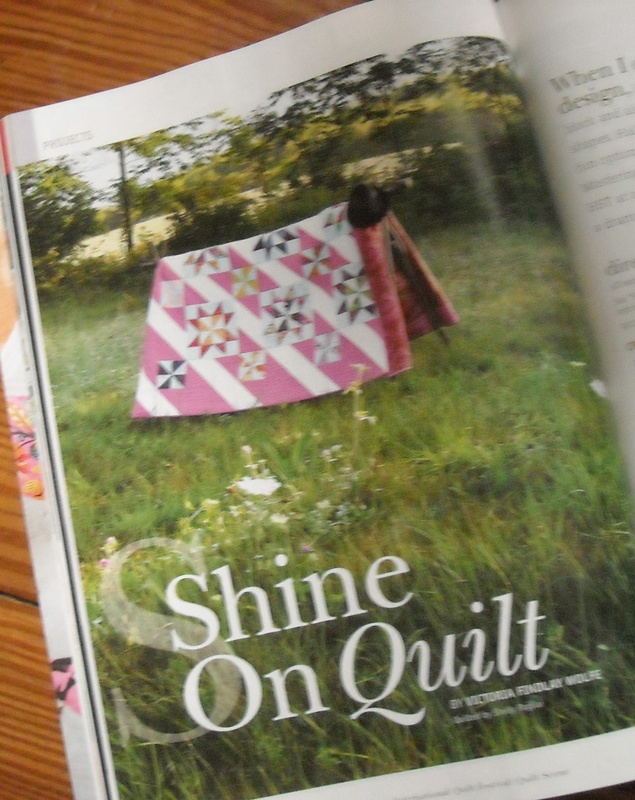 I quilted this one quite a while back, and she named it Shine On. The photography for this one is wonderful, too, and they even give you a little back story on the photo shoot inside the magazine. You can get your copy of this one HERE. I’ll be back with more news later. There’s too much to tell all in one post! Please check back soon . 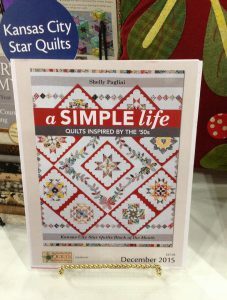 . .
How exciting to see the cover of your book! So exciting to see that your book is soon going to press! 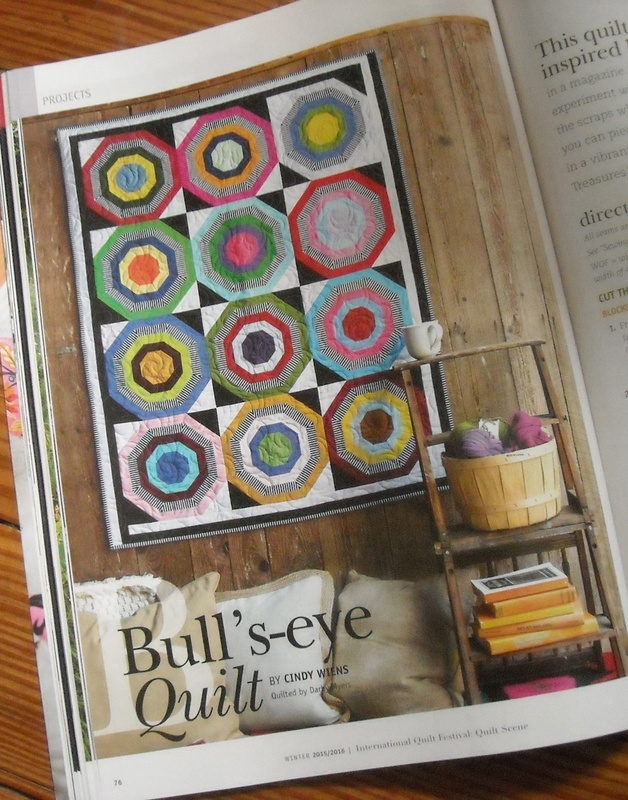 Lovely quilts and quilting on those two quilts. 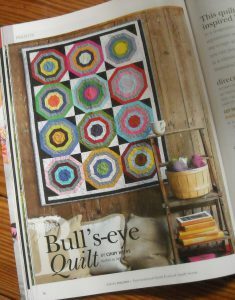 The Bullseye quilt is really cool. I may just have to run out to get that magazine! That is sew exciting!!!!! I can’t wait for your book to come out. Wow, that seems like a long time ago now that you were in Nebraska. Congratulations. 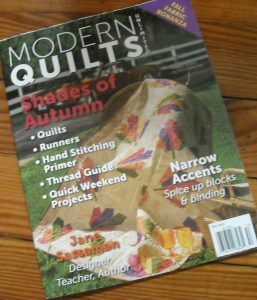 What fun to have so many quilts that were long armed by you. The book looks really wonderful. Now I am not being a mom… but get to work on some of your own projects. It is November all ready.